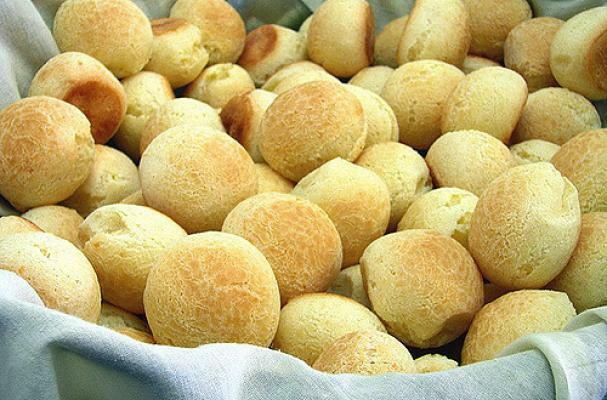 Pão de Queijo or Brazilian cheese bread is my absolute favorite snack. My grandmother used to make batches for me and my cousins. We would swarm around the table and the bite size piping hot bread would be gone in minutes. This was also the same recipe that lured my boyfriend (now husband) into the kitchen as a way to get to know my family and Brazilian culture. The 2016 Summer Olympic games would be remiss if we didn't bake a batch ourselves to celebrate these world class athletes. The key ingredient to the bread's unique texture is tapioca starch. You can purchase this gluten-free flour online or Latin foods market. Also, I prefer to use a drier cheese, like parmesan, when preparing this cheese bread.